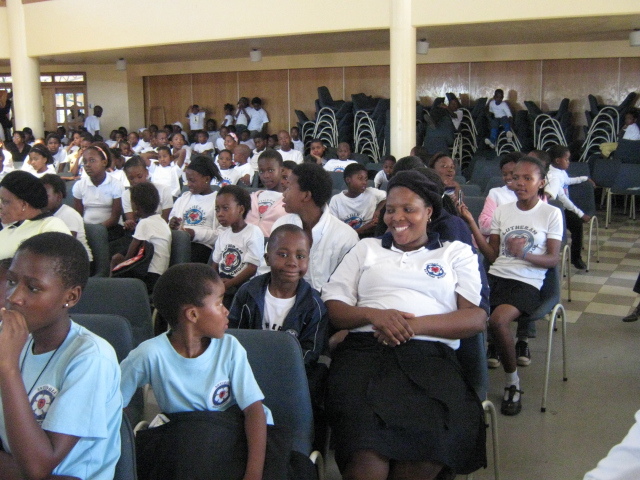 14 September 2008 was a fun-filled for Western Diocese Sunday School, it was Diocesan Rally. 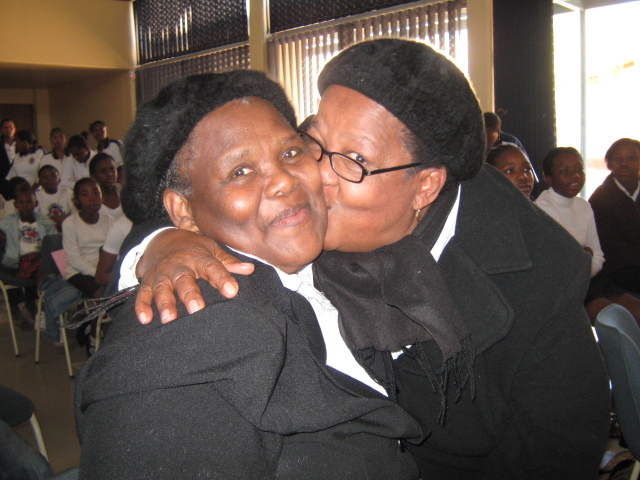 This was held at Diocesan Centre in tlhabane (Rustenburg, RSA) this event was guided by a theme „God created man in his own image“ (Genesis 1:27). Circuits showcased their activites based on this theme. 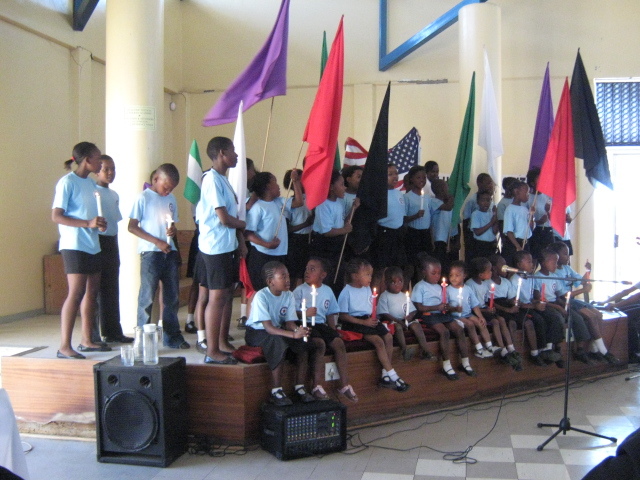 Rally was divided into 2 parts: Part A – Church Service and Part B – General Activities. 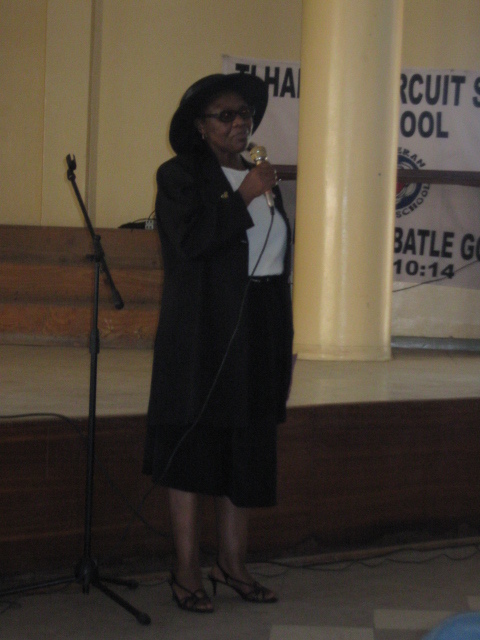 This part was a formal chuch service led by Mrs Masite with a sermon from the theme of the day.This part was charecterised by singing of choruses and dancing. 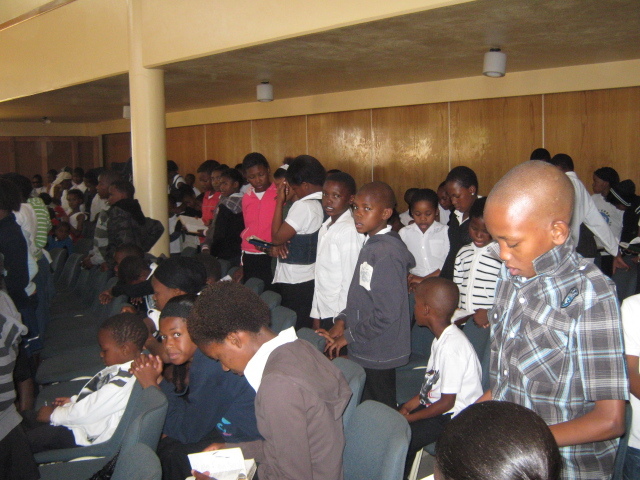 Sunday school kids praised with hymns 34 and 35 while teachers praised with song 275. 2. 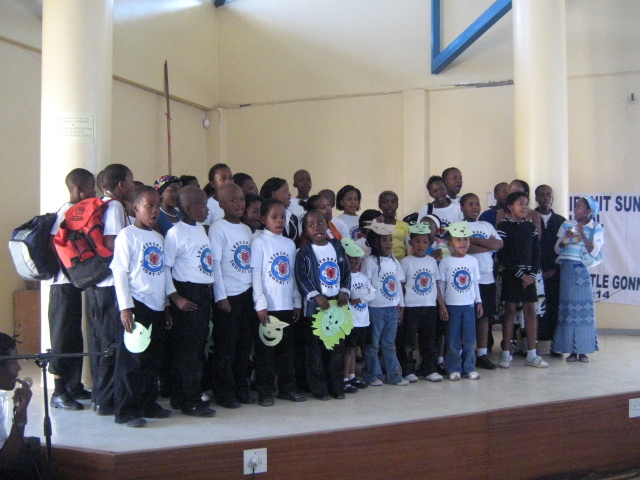 Borwa I and Borwa II performed drama based on the theme. 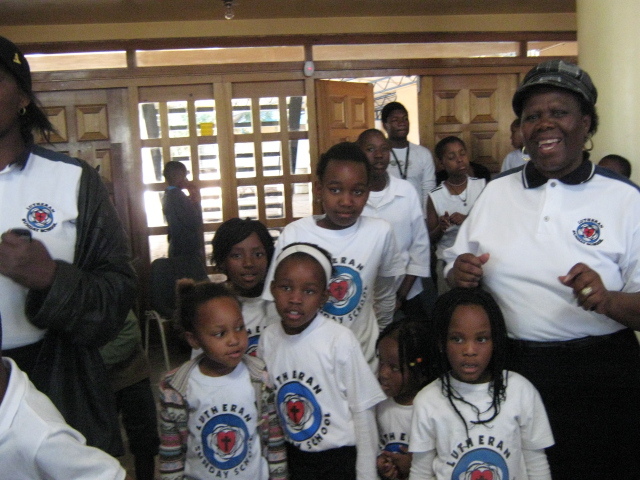 It was so touching to see how children can bring us back to creation times. 3. 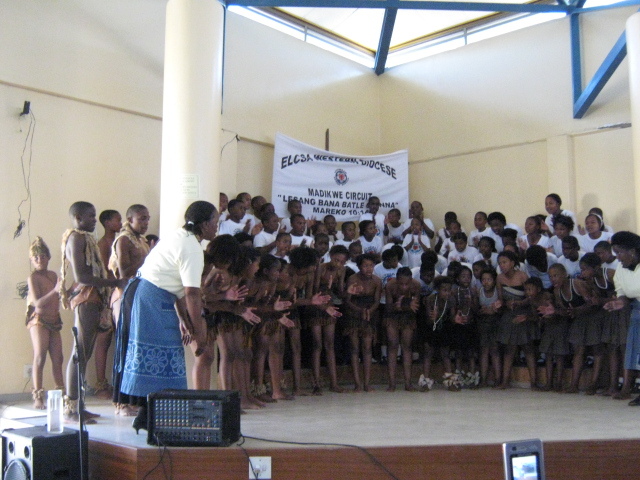 Traditional dance was performed by Madikwe circuit. This marked the peak performance of the day, children showing their cultural talent. teacherS were ululating and whistling. 4. 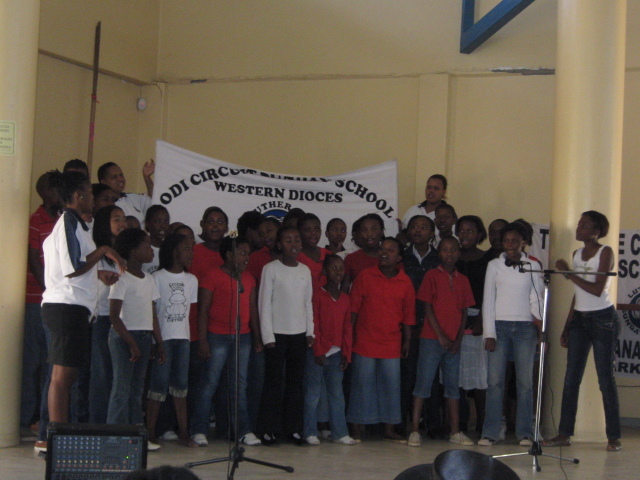 Odi performed gospel music, this was a touching performance, what a song. 5. 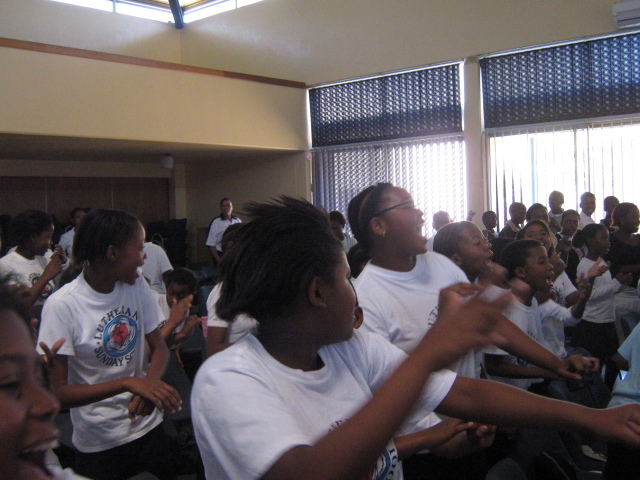 Moretele performed gumboots dance they got everyone on their feet. wow, it was fun-filled. Mrs Ditlhale closed the session with a vote of thanks and promised teachers her outmost support on everything they are doing and encouraged them to keep up a good work. Entry filed under: Südafrika. Tags: Add new tag, BorwaII perfoming Drama, Singing.